Sometimes the overall score that you have as a good company should be more equivalent to that you have more good than bad evaluations and should not affect the overall score so much. "Satisfaction and opportunities for improvement"
"Solution to know the opinions of the clients"
Making customers not only buy once and buy again is the goal through Nicereply surveys to make the customer happy with the purchase and be a frequent customer to know your opinion of the experience of buying and the products you purchased. With the three types of surveys that Nicereply offers in its survey platform, I can interact with clients to better understand their needs and what they think about the quality and service of the products they bought in the company. they handle some prices that, in my opinion, are very good and there are a variety of prices in the plans, something that, if not enough for the most expensive, because one buys the cheapest one knowing that all are very good with different characteristics but everyone benefits from sending safe and interesting surveys so that customers respond and they can know the quality that the company is executing in front of the clients who are the ones who value the opinion the most. The real statistics of the opinions that the clients realize realize how well or badly the company is so that the clients want to continue buying. If the clients let us know their experiences of purchase and service, they can have a basic control of how the stores are operating and if the employees they serve are doing the right job. With nicereply I can measure the satisfaction of the client to improve the quality and the service that is provided in each restaurant that we have because it is very difficult to know if the attention that is being provided in each restaurant is appropriate and the employees are doing the job well. I can recommend it because I have been using it for a long time and I thought it was a good platform to conduct customer surveys quickly and easily. "Satisfaction or dissatisfaction in a single survey"
"serves to know what customers think about the company"
"Surveys that let you know what customers think"
"With the evaluations they give us, we can know our level of quality"
It is very important to know the satisfaction of the clients in each trip they do if everything went well or had some inconvenience, it is good to know to correct those errors that is why with Nicereply you can know the satisfaction of each one, I love reading the evaluations that make us with that we can know that we are doing well and that we are doing wrong or what there is to improve. although the platform is easy to use at the beginning it cost me a lot of time to know how to handle it very well and there were tutorials but not very specific that did not teach well how all the menus worked, I learned to handle it very well but for all the time I invested it because I really thought it important to know how to drive for work, it was very necessary. It helps to know in what level of quality we are if we are providing a good or bad service, or also if our work platform is good all those things we can know through Nicereply that helps us improve to provide a good service with quality to the customers to contact us again. It looks pretty, but sometimes using the coloful buttons does not allow us to use them for all mail servers. I mean, we include them, we use them, but customers for some reason do not sees them, maybe not compatible with all mail servers or mobile mail apps. Easy, complete.. it is simple but complex at the same time, I mean, features are not complicated to understand, but benefits are many! most of them are day to day comunications with customers, we have a bunch of people interacting with our customers on daily basis, we are commited to best service possible, and they way they feel us, is the way we actually make money. "Provides Tangible Proof of Great Work to my team"
I LOVE getting feedback from our customers. 90% of the time it's all positive feedback, which our admins/CEO will share with the rest of the support team. Seeing our customers' positive feedback of our colleagues and recognizing good work really helps morale in the office. We've even turned NiceReplies into a game, where you win incentives if you have the most responses in a month, etc. It keeps our team aligned and engaged. Additionally, as I begin to look at new chapters in my career, I can use direct quotes from clients as references to my work ethic and experience in support. In short, NiceReply shows tangible results for all of your hard work, which is really encouraging. There isn't a single thing that I dislike about this platform. "NiceReply: Immediate Review Responses Made Easy"
Nicereply allows our customer service team to keep track of immediate responses to our email coverage and customer support. Customers have the option of providing a 1-10 rating and an open field response on every email sent through our support desk. Nicereply is very good at what it does and does nothing else. The entire program is designed to work entirely within an email support program. It is the right price for such a solution but doesn't integrate with additional rating systems or additional customer contact methods. Nicereply is limited in its scope, but performs to expectations if they are realistic and well informed. Nicereply allows our management and agents to keep a close eye on how their responses are received by our customers. A rating of a 1 provides our team an opportunity to follow up immediately. Stores/Domains and agents are rating corporately and individually allowing for specific coaching if necessary. "Measure Customer Satisfaction More Effectively with NiceReply!" NiceReply has increased the number of ratings that our IT Technicians receive each week, and it has provided us with the ability to rate outside of our ticketing system. It' visual rating system is engaging and easy for our end-users to understand. Weekly reports provide me with the incentive to praise our Team and or course correct in near real-time. There's not a whole lot to dislike about the solution. 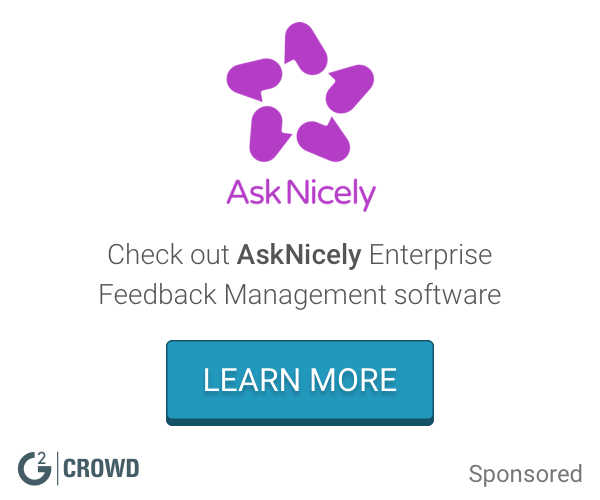 If you're not satisfied with your ticketing system's customer satisfaction measurement system, give NiceReply a try. Integration with Zendesk was simple and easy to accomplish. NiceReply also encourages you to go beyond CSAT to consider a more robust measurement such as ease of doing business. Our ticketing system (ZenDesk) had a very simple customer satisfaction survey capability. NiceReply has replaced that with a broader set of features. It's easier for the end-user to complete and it provides a very attractive visual interface for the rating system. Benefits include an increase in survey responses and weekly reports that are pushed to me for review. "It's good to know I'm doing my job!" I like knowing that i'm doing my job, so having Nicereply helps because if a customer gives me a low rating, I did not do my job to the best of my ability. It's good to know what I did or didn't do wrong, and the good part is I still can redeem myself, turning a low rating to a high one, and learning from my mistakes. I look forward to using Nicereply for a very long time! I did find one thing I disliked, and it could've been a glitch. I noticed that our customers could rate us multiple times, so whenever we have an irate customer, they will consecutively give us low ratings which I think is kind of unfair. Hoping it is a glitch; my opinion is they should only be able to rate once so that it's fair and for more accurate rating percentages. Quality assurance. Nicereply helps from ratings we receive from customers we've helped; the lower the rating, the more we need to improve on the quality of service we provide our customers. The higher the ratings, the more we know we are providing our customer with the best quality service as possible. The benefit is knowing we are doing our job to the best of our ability! Great application, 10/10 would recommend! I like that we can automatically send out emails for Customer Satisfaction and instantly see the feedback we've received. SInce we use it for CSAT it's a lot of great qualitative information and can give us insights as to what our customers love and dislike about us. It would be great if we could get better integrations with it. It's possible that we're not taking full advantage of it but it would be cool to be able to link CSAT replies from NiceReply to Zendesk/Salesforce accounts. A lot of the replies come in without being linked to the account which is unfortunate because if I want to respond to a feedback comment, I don't know who it's coming from. I really like their Customer Service blog as well--I read every email they send and it's great content. We previously didn't have a way to track our customer satisfaction for our account managers. We did track our CSAT for support via the capabilities in Zendesk but we used NiceReply to get feedback for the Account Managers and training specialists. We have been able to get some qualitative feedback to help us do a better job ensuring our clients are happy and reducing churn. You can get way more with Nicereply + Zendesk integration as you are using now. Nicereply has been extremely helpful in regards to gathering customer's feedback. We have received very insightful information that has already helped our company grow in the customer service department. I recommend Nicereply to any company looking to grow in customer service. It's extremely easy to customize surveys and the real-time customer feedback has been a huge help. We have been using Nicereply for roughly three months and I haven't found anything that I would consider a negative. It's extremely easy to use and very easy to implement. I recommend for all companies looking to better their overall customer service levels. Nicereply has been extremely helpful in regards to gathering customer's feedback. We have received very insightful information that has already helped our company grow in the customer service department. I recommend Nicereply to any company looking to grow in customer service. "It is an outstanding and simple tool"
Nicereply is key to getting feedback from our customers. The implementation is fast and allows integrations with third-party software such as Freshdesk. The application provides a user-friendly interface. It contains survey templates to evaluate various KPIs -such as CSAT and NPS-, which can be customized without using code and can be embedded seamlessly into the email templates. I can not help, but I think the biggest strength of the software is the statistics board. It has filtering functions that facilitate the view of charts and ratings with details. It also has a section where you can view the ratings and comments made by customers. It is outstanding and effective, I cannot think of anything that I dislike about Nicereply. I recommend it, not only for its good cost-quality ratio, but also because Nicereply contains the necessary elements to collect real and organic feedback in a short time. Seamlessly meets the needs of marketing departments and sales. Simplifies the collection of feedback. It provides key features to reduce the process of creation and data collection. In addition, Nicereply provides graphs and reports with metrics that are vital for marketing, sales and customer service project planning. It helps us grow and improve. "A Medium For Better Business "
Nicereply inclines the user to develop better socials skills and build upon existing client's relationships. Focusing on the aspects of how people react to what we say and do, allows up to improve upon the services we provide. I would highly recommend using Nicereply to better rate and review your employees or Business results. The service has yet to provide any features or aspects that I dislike or that I felt were not up to par. The features are neither non intrusive or lacking in any form or fashion. Nicereply should be a business and company standard for any considering this product. I highly recommend implementing this product into whatever system you have available. We use Nicereply to see how well we performed our services in a ticket based system, with our affiliated business partners and employees. It is a well-structured and intuitive software. It allows you to select the type of survey that you want to elaborate and contains a variety of attractive templates with accurate and easy-to-understand questions for the user. Collecting information is also simple since it has features for multi-channel collection. Maybe the data analysis function is my favorite because it is easy to use and organizes the data efficiently. It is not a complaint, but I would suggest incorporating more integrations with social customer service software, I believe it would increase its level of effectiveness. I recommend this software because it is lightweight and intuitive, it's fantastic. I really like NiceReply because it provides an effective way to evaluate the customer experience. The data analysis function has been particularly beneficial to us because it provides us with valuable metrics that allow us to know the degree of satisfaction of our customers regarding the services we provide. ""With the assessments they give us, we can know our dimension of value""
It is essential to know the fulfillment of the customers in each excursion they do if everything went well or had some burden, it is great to know to address those blunders that is the reason with Nicereply you can know the fulfillment of every one, I adore perusing the assessments that influence us with that we to can realize that we are progressing admirably and that we are fouling up or what there is to improve.Nicereply permits our client administration group to monitor quick reactions to our email inclusion and client support. Clients have the choice of giving a 1-10 rating and an open field reaction on each email sent through our help work area. Nicereply is extremely great at what it does and does nothing else. The whole program is intended to work altogether inside an email bolster program. It is the correct cost for such an answer however doesn't coordinate with extra evaluating frameworks or extra client contact techniques. In case you're not happy with your ticketing framework's consumer loyalty estimation, out NiceReply an attempt. Mix with Zendesk was basic and simple to achieve. NiceReply additionally urges you to go past CSAT to consider an increasingly powerful estimation, for example, simplicity of doing business.Easy, complete.. it is straightforward however complex in the meantime, I mean, highlights are not convoluted to see, yet benefits are many! Nicereply enables our administration and operators to watch out for how their reactions are gotten by our clients. A rating of a 1 gives our group a chance to catch up promptly. Stores/Domains and specialists are evaluating corporately and independently taking into account explicit training if necessary.most of them are everyday comunications with clients, we have a pack of individuals connecting with our clients on consistent schedule, we are commited to most ideal administration, and they way they feel us, is the manner in which we really profit. "Great product to get quick reviews and stats on your customer support "
There is a very small list of options for implementing CSAT/CES/and NPS and the embedded CSAT template doesn't work very well with Zendesk, although that could just be a limitation with Zendesk and not Nicereply itself. Still I would have liked to see deeper integration or more ways to implement the surveys. Email after ticket is resolved seemed to be the only one I get reliable feedback from which means I end up doing CES or CSAT but not both. Trying to better measure customer support performance and how clients feel about our product. "By far the best customer to support rating system"
I work as an IT Help desk agent and touch base with a minimum of 30 tickets a day. Nice Reply gives us a perfect way to hear from each of our customers to ensure we are taking care of everyone with out loosing that personal touch. Honestly there is really nothing I can think of. The app is very easy to use for both us here at the office and out clients who fill out the questionnaires. We can now see how our clients feel about each of our tickets as they are closed. We used Zendesk's rating system before and this system allows us to dive much deeper into the satisfaction of our Clients. "Great for training representatives and ensuring quality"
We use Nicereply to ensure quality in the responses that our support representatives give to our customers. And we start every employee with a stint in Support, so Nicereply is a way to ensure that our company culture is spread to all our newcomers. Having a dashboard with simple scores, and giving positive feedback on Slack for high scores, gets folks to shoot for exceptional service. I don't use Nicereply in an advanced enough way or frequently enough to have hit its bad points. "Great idea but customer do not use it correctly"
I like being able to see feedback and rating from customers who rate us based on our service. It is nice to see that they can rate the service and the product separately. It has lots of potential for being a great product for companies. I hate that customers do not understand the ratings and decide to ask more questions in the Nicereply rating comment box rather than in the actual email they sent to our help desk. I also dislike how a single "1" drags mu scores down when it is for things such as a customer being unhappy with something we don't offer. They like the service they got but end up rating me as a 1 and then it looks like I am in effective. It is a good base product for evaluating customer satisfaction. It is a way to assess our Customer Support System. It allows our company another way to evaluate if our Customer Support team is doing a good job or if they need more training or support to do their jobs better. "Great tool to collaborate between support, sales, and success"
Nice Reply has a really intuitive interface that makes it easy for the customer I'm speaking with to start the feedback process. What I appreciate most is the tight integration with Front (frontapp.com) that automates, streamlines, and hastens the way our teams internally manage feedback. If someone submits feedback, Nicereply inserts it as an internal comment on the email thread where feedback was given, so there's context there now and down the line when we want to track history with a certain customer. Being able to rate the same conversation multiple times can be confusing for a transactional business with short communication with customers, especially when it comes to tracking analtics on individual performance if multiple reps touched that same thread. If communication is long-term with customers, that same feature makes sense because multiple different topics could be discussed over many months. As a salesperson, nIcereply is amazing insight into how our customers are engaging with the product and the different departments at my job, especially within support requests. If I'm thinking of reaching out to a customer, I have end-user feedback that helps me tailor my approach. "Excellent and easy app that helps you to improve your customer service at all levels"
It helps a lot in order to solve problems and understand our customer needs (Customers usually reply instantly to bad experiences so we can react sooner than usual). It helps company at all levels to react in a good way when having problems. Sometimes people press a bad face by mistake so it would be better if it has a message saying that are you sure that you want bla bla bla ..It is a easy app but sometimes people don't understand how it works. Good app, easy to use & instant information regarding customer service. I'd recommend this app to everyone who need to measure its customer level service in order to take advantage of its disadvantages. Improving our customer service at all levels & knowing what our customer feel, like & dislike about our services. Love this app and will use it for a very long time, prices are ok and benefits are great so we like to be working with NiceReply as an alternative to keep having a good relationship with our customers. I like the layout the best. It is clean, simple, and easy to use. It is also integrated with Zendesk so you can easily jump to the ticket with a simple click! At this time there is really nothing more I would change. At the very least try it out! It is important to remember that low scores are worth looking into to determine if a customer was unhappy or the agent did something wrong to provoke the customer to turn more upset. There is a nice feature which emails you when low scores come in so you can review them. 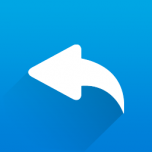 Nicereply makes it simple and easy! Nicereply not only gives us real insight into how our customers feel about the service they receive but we also have a greater understanding of how effective each member of our team is. The dashboard is easy to read and the overall user experience is intuitive. The best part for us is automatically sending surveys to text and email tickets. It could be more robust. It takes the work out of sending emails manually but it doesn't survey phone calls and the integration with ZenDesk could be better. We still have to log into both ZenDesk and NiceReply. It would be great if Nicereply was housed within ZenDesk. Definitely a great way to survey your customers. Nicereply also has great customer support. Customer service is the root of our business. It's imperative that we have a finger on the pulse of what our customers need and want and whether or not we are effective at helping them solve problems. The scores hold our team members to a high standard and asking for feedback helps our customers know that we truly care about the service we provide. The option to add multiple questions so customers/users have the ability to rate our product separate from our support team! These questions are also customizable so you can use different scales which is also fantastic! The fact that users can rate the same ticket multiple times. We tend to solve our tickets every time (we don't always think that a user will have follow up questions for us) and when we do this, the user/customer receives another rating request each time. This is particularly annoying when a user is quite upset about something that cannot be helped by our team/company in general. Multiple ratings for an agent that doesn't get that many ratings to begin with, can murder their score for the week and can be upsetting for them! Please fix this or advised how to fix. We're solving issues where we were unable to accurately gauge the user/customer satisfaction of our product aside from our support team! I like the overview of different ratings part of the website the most. Honestly, I don't really know - I've not yet come upon anything bad in the Nicereply system. It really is a good product - easy to use, full of features, user-friendly UI, etc..
We are getting a salary increase at the end of the month based on our rating during the month. It is a good price for as far as CSAT software is concerned. If a customer doesn't like a reply that an agent give them they will sometimes score them poorly which can negatively impact score and there is no way for these reviews to be removed from the scoring process. It solves being able to get CSAT scores in a simple and easy to use matter that doesn't require a great deal of hassle to set up. Hey Zachary, you can solve the problem with poor ratings based on the response which agent cannot affect by creating a new users, called e.g. "general issues". They you can reassign those rating under this account. Each rating has a edit option which able you to that. However you must be an account admin. Customers are able to share thoughts. This is particularly useful when the customer forgets to respond back to the email - we are still able to address any of their concerns. Nothing about the product! Though sometimes customers do offer a negative review if they're not happy with the response (ie. "There was heavy flooding in my area which is why the product wasn't delivered in time. This is still unacceptable!") that you cannot take out of your overall rating score - a bummer some days! It's worth a shot at the very least! It really will help provide additional ways to assist your customer base. "Helpful metrics for a customer support system"
It updates quickly, and is able to give us the metrics we need to better understand how our clients feel about the support representatives. There isn't really much to dislike, other than there is no way we have been able to find that allows partial numbers, such as 5.5 or 7.5, only full integers. It may be a setting that we haven't seen, but it would be useful. If you need to be able to get client thoughts in customer service, Nice Reply is a great way to do so. We're able to better judge how effective support members are now with the system, as the clients will let us know how strong or poor their experience was. Previously we had to call clients to see how they felt their customer service was, and this prevents us from needing to contact them as such. "Pretty easy and simple to use"
Being one of the first review platforms we've ever used, its just amazing to see the performance of our customer representatives and how customers perceive our company. Not being able to modify the NPS survey to my own choosing especially adding it into our email marketing platform, instead of pushing camping in Nicereply. Don't think, just get on the platform. The issue of gauging customer satisfaction and monitoring the performance and improvement of our client service representative, was a bother. But with Nicereply its been an eye opener to see how our company doing in the area of offering the best customer service and experience. Hi Anene, appreciate for your feedback. We have implemented a few improvement for NPS recently. Please reach us to contact@nicereply.com if you have any specific question regarding to setup. * We monitor all Nicereply reviews to prevent fraudulent reviews and keep review quality high. We do not post reviews by company employees or direct competitors. Validated reviews require the user to submit a screenshot of the product containing their user ID, in order to verify a user is an actual user of the product. Hi there! Are you looking to implement a solution like Nicereply?